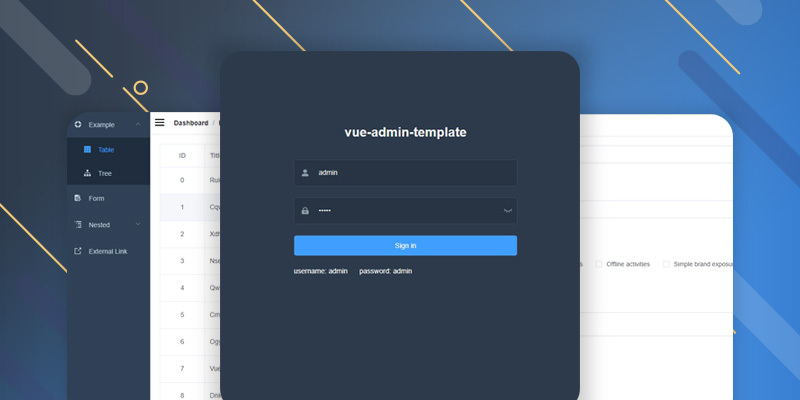 Vue Element Admin is a solution for Front End Management. 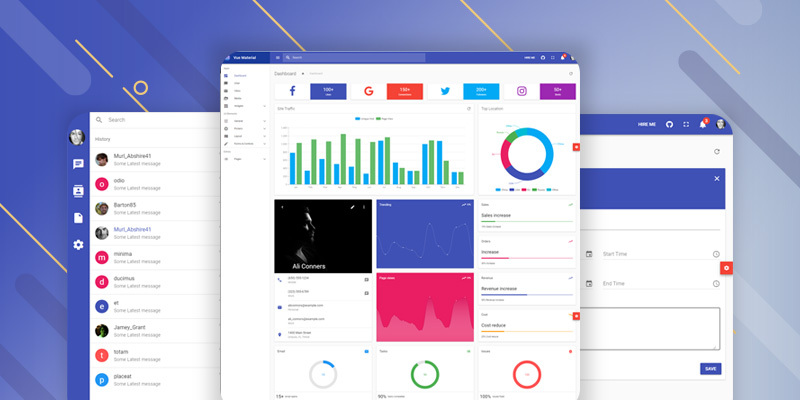 This Framework Developed with Vue.js and UI Toolkit Elements. You can easily Develop your large and complex single page Application with this. Everything stuck in the project file, which you need to build your app. 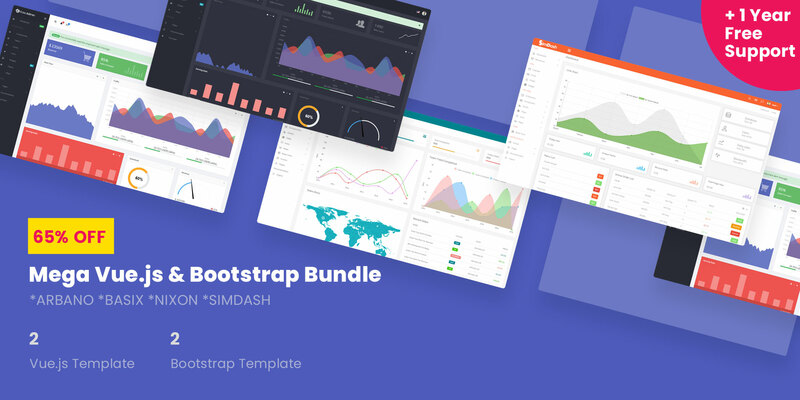 No need to take help from any other third party scripts or plugins. Guide: Some complex App needs to explain “How it works” process. Guide system helps here to showcase each and every step by step guide. Permission system: By default, the Template added Editor and Admin as Demo. But if you need more roles in your admin dashboard then this system allow you to arrange it. 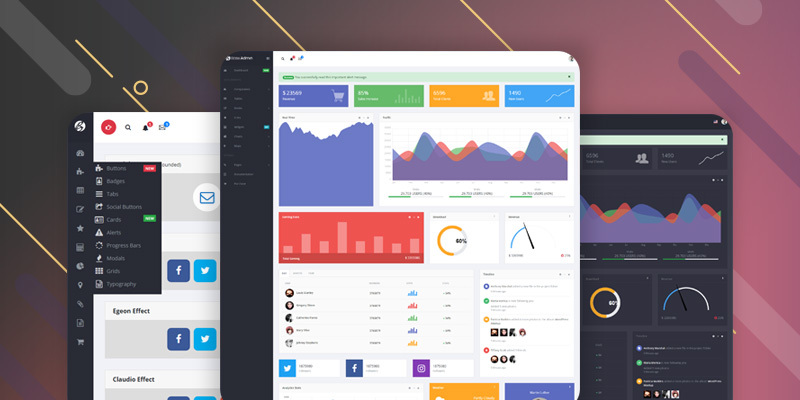 It will help you to arrange the dashboard and layout fora different role in different style. Components: There are 3 type of editor named Tinymce, Markdown and JSON. Splitpane is a system where you can add different part and output something in your desired part. For example, Codepen system stands on Splitpane. 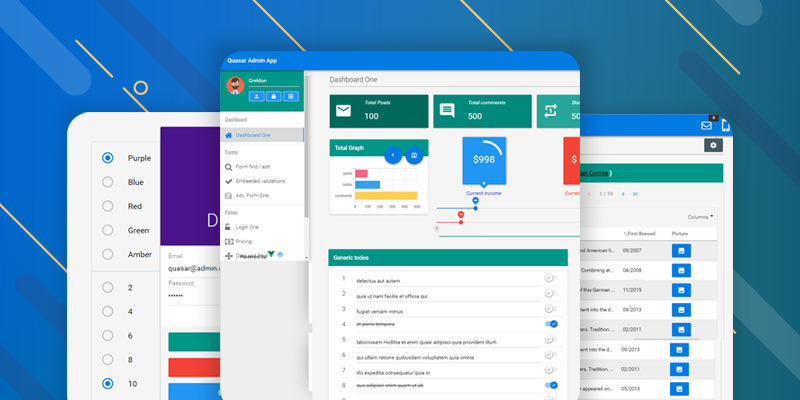 Avater upload, Dropzone, Sticky menu, BackToTop, Dnd List are also some important components for Dashboard template. 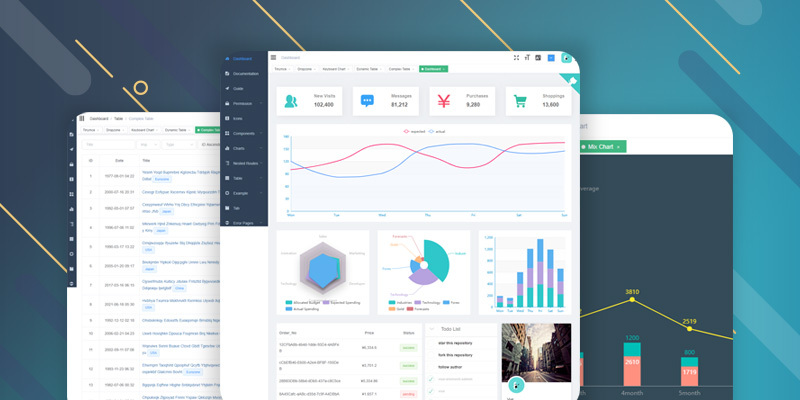 Charts: Three different type of charts are pre built on this Template. Keyboard Chart, Line Chart and Mix Chart. The color combination and animation effects can be customized while you will start working with this template. Table: I know most of all Free or Premium Template contains Table section. But this one contain something special for your use. Dynamic table, Drag Table, Inline Edit, Tree Table, Custom Tree Table, Complex Table are integrated here. Table export system is good enough to collect data in your local pc from a server. Excel & Zip: Excel file is the most important things for backup data from admin panel. These framework allow you to upload your Excel file or Download data from Application. Not only Excel but it configured ZIP file backup system. The design quality of each components are wonderful. Love it.